Many students believe that they will attain a higher band grade in the IELTS exam if they are able to study English at a higher level. They convince themselves that the fact they are studying English at a “low” level is what stops them achieving better results in IELTS test papers. These students think that if they study “advanced” English, they will be able to produce “advanced” English in the IELTS exam and attain a higher IELTS band score. This belief, of course, is nonsense and will never lead to better IELTS results. An intermediate level student will not be able to consistently produce advanced English until they are able to deal with the language studied at intermediate level. Imagine this. An unfit person decides that they want to run a full marathon. That’s a long run: it’s 26 miles or 40 kilometres. 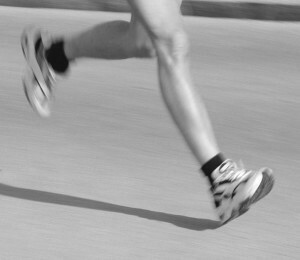 This new runner, this unfit runner, is best advised to start with short training runs – perhaps as short as 500 metres. There’s no point in trying to run further because an unfit body will suffer if pushed too hard. This unfit body might even fail! This new runner is forced to train and train until their fitness is at the right level so that they can achieve their target goal : the target is to complete the marathon. It would be silly if this unfit, novice runner attempted to run with elite marathon runners. They would be unable to keep up. In fact, they’d probably fall behind within 10 paces. The unfit, novice runner would become discouraged and would be in danger of failing. The best advice for training for anything is to train at the right level. It’s also encouraging to train with others of a similar level. You will soon get to know your strengths and weaknesses and it will be clear which areas you need to work on. Our unfit, novice marathon runner will attain their goal but it will take time and hard work. Hard work is what progress takes and this takes time. If you want to achieve the IELTS band score you need, it is important that there are no gaps in your knowledge. 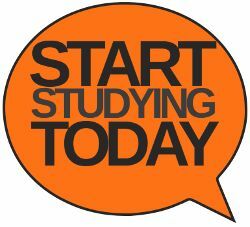 Intermediate level students should study at this level until they are fully ready to progress to the next level.